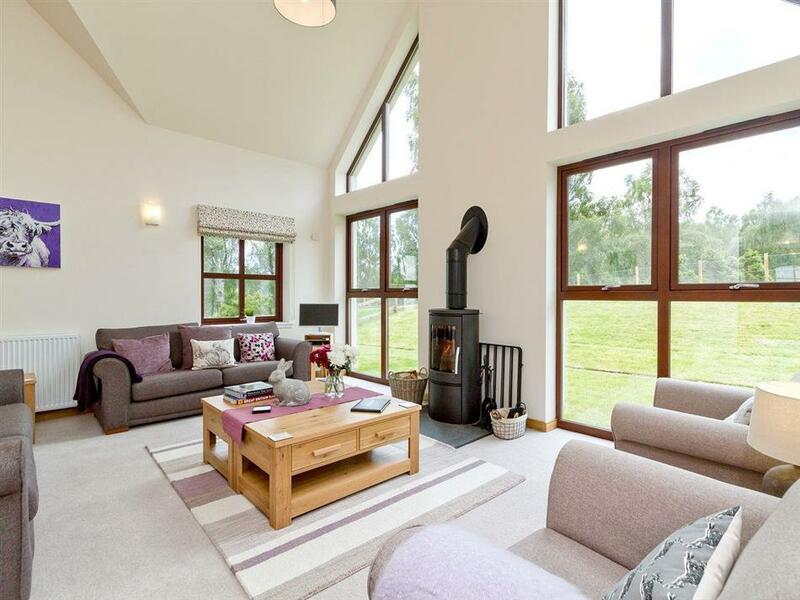 Birch Corner in Aviemore sleeps 8 people. 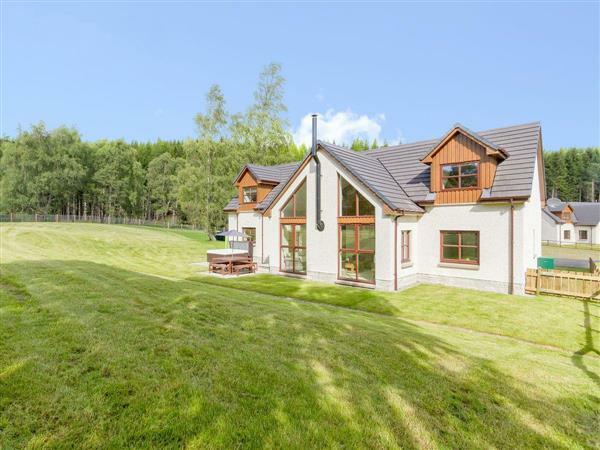 Birch Corner is a detached property with its own hot tub in a private garden and has a quiet setting, yet is only a few minutes’ walk from the lively centre of Aviemore. Providing guests with an unforgettable holiday experience, Birch Corner offers spacious and beautifully presented holiday accommodation with your every need having been thought of. Aviemore nestles in the heart of The Cairngorms National Park at the head of the Speyside Way and boasts a wonderful range of shops, restaurants and bars. The area also offers a very wide range of outdoor activities including skiing, snowboarding, mountain and quad biking, zip lining, climbing, hill walking plus a variety of water-sports on nearby Loch Insh, Loch Morlich and the River Spey, to name just a few of the myriad of activities available. Take a trip on the Cairngorm Mountain Railway, visit the Cairngorm Reindeer Centre, Landmark Centre in nearby Carrbridge or take a trip to the Highland Wildlife Park at nearby Kingussie, all of which are within easy reach. About 12 miles from Kingussie, lies the Ardverikie Estate, which has been the setting for films including the BBC TV’s drama series ’Monarch of the Glen’, as well as the location for movies such as ’The Missionary’ and ’Mrs Brown’. Another visitor attraction for all the family to enjoy, not far from Kingussie, is the Highland Folk Museum, which offers an insight into Highland life in a living history setting. All in all, this is a fantastic base for exploring the many delights that this area has to offer, and there is so much to see and do for all ages. The nearest shop, pub and restaurant are all 1 mile from Birch Corner in Aviemore. Spacious, open-plan living/dining room with wood-burning stove, cathedral ceiling, floor-to-ceiling windows, patio doors to garden and kitchen area. Sitting room. Utility. Twin bedroom with zip & link beds (can be 6ft double) and en-suite shower room with toilet. Separate toilet. First floor: Two double bedrooms; each with 5ft beds, one with en-suite shower room and toilet. Twin bedroom. Bathroom with over-bath shower and toilet. Pets allowed at Birch Corner. For a better idea of where Birch Corner is, you can see Birch Corner on the map below. Do you want to holiday near Birch Corner (SSAE), you can see other cottages within 25 miles of Birch Corner; have a look to find your perfect holiday location.